Afghanistan Attorney General Office reported that 50 cases of violence against journalists have been investigated. The office said in a statement that 50 cases of violence against journalists were dispatched to attorney office and fairly investigated whilst the perpetrators were punished. 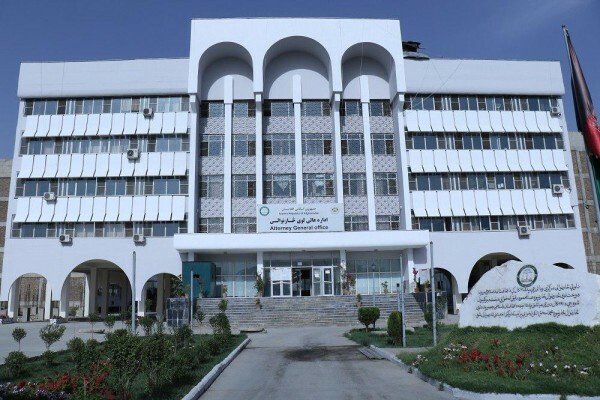 This judiciary institution said that out of the 50 cases, 33 of the, were dispatched to office before the establishment of the joint committee of government and the media, and the rest of it after the creation of the committee. The Office stated that these cases include murder, beatings, insults, threats, false information, illegal detention, suicide, armed attack, burning of radio and assassination. These cases occurred in Nangarhar, Kabul, Herat, Ghor, Nimroz, Farah, Kandahar, Balkh, Badghis, Zabul, Khost, Faryab, Parwan, Kapisa and Baghlan provinces. The Ministry of Defense reported that border force members who entered Turkmenistan’s soil due to heavy clashes against militants, have returned home. “The 58 border force members and a number of our civilians, including children and women who entered the territory of Turkmenistan as a result of heavy clashes against militants in Bala Murghab district of Badakhshan province returned to Afghan soil through Torghundi port and are back on duty”, the statement said. Meanwhile, the Ministry of Defense has not said anything about Taliban casualties. 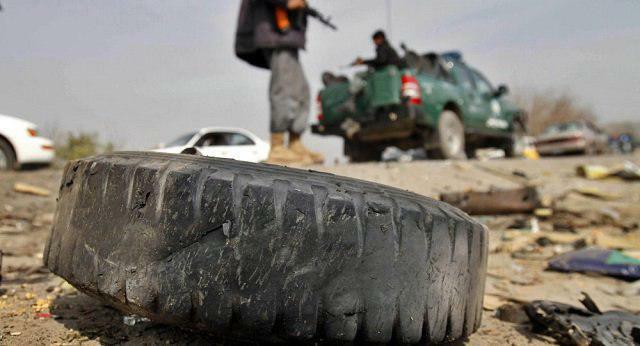 As a result of these Taliban attacks, 25 security forces were killed and wounded. Security officials reported that two Taliban members were arrested in Logar province. 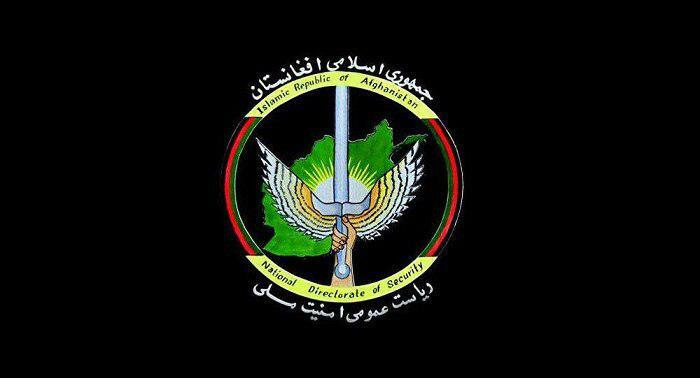 National Directorate of Security (NDS) press office said that in an operation of special forces of NDS two members of Taliban terrorist group who have been involved in assassination and kidnapping in Logar province were arrested. Mohammad Mokhtar, who goes by the nickname Ghazanfar and Wahidullah, are the arrested terrorists. NDS said that Wahidullah was assigned by the Taliban terrorist group to assassinate tribal elders and government employees in the province. “The detainees have also confessed to the assassination of a prosecutor by the name of Baryali,” the statement said. The second vice president of Afghanistan, on the occasion of the National Day of Journalism emphasized that freedom of speech is of great importance to the Afghan people and the protection of this freedom is possible only in light of political and legal order based on existing constitution. 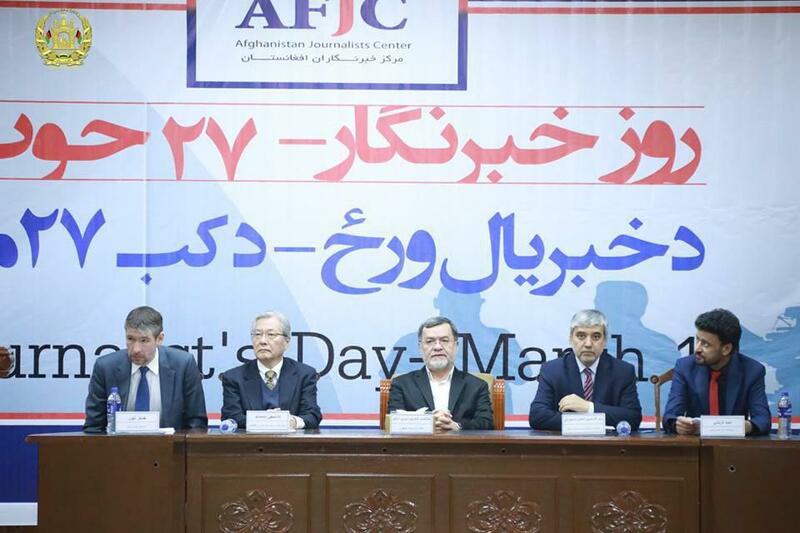 Speaking on occasion of National Journalism Day on Monday in Kabul, Sarwar Danish said that journalists are eye, ear and voice of a society and also a symbol of wisdom and knowledge of a society. He further added that, whenever repression, tyranny and censorship dominated Afghanistan, there was no progress, no social peace and tranquility, no intellectual and cultural development, nor respect for human dignity and human rights. The second vice president also stressed that all aspects of peace negotiations should provide this guarantee to the people of Afghanistan that freedom of speech and free media will to be protected come what may. Logar police spokesman Shapur Ahmadzai told Reporterly that on Monday morning, acting police chief of Baraki Barak district of Logar province was killed and his two guards were wounded. Then incident happened while he was trying to equip police stations that his vehicle hit a roadside mine. 1TV has reported the according to Abdul Wali Wakil, a member of Logar provincial council that in this incident, two guards of the police chief were killed and two others were wounded. 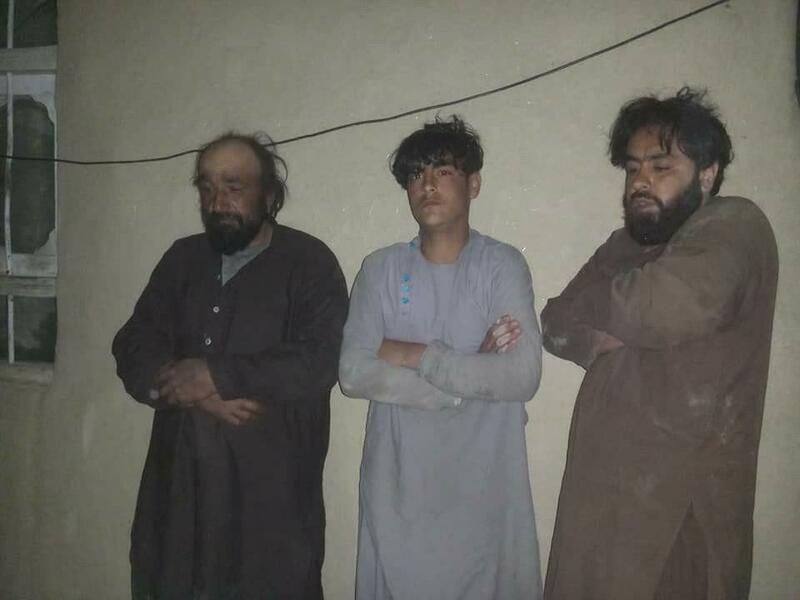 In the meantime, security forces announced that Najibullah known as Stanikzai, the head of Taliban military network was arrested with his three subordinates in cleaning operation by members of 4th battalion of special forces of special operations in Azbak Khel village of Baraki Barak district of Logar province. Security officials reported that head of Taliban military network was arrested in Logar province. Abdul Qayum Nuristani, head of the press office of Combat Corps of special operations said that as a result of last night cleaning operation by members of 4th battalion of special forces of special operations in Azbak Khel village of Baraki Barak district of Logar province, Najibullah known as Stanikzai, the head of Taliban military network was arrested with his three subordinates. He said that during the operation, a Kalashnikov weapon, two pistols and two vehicles were also seized by security forces. 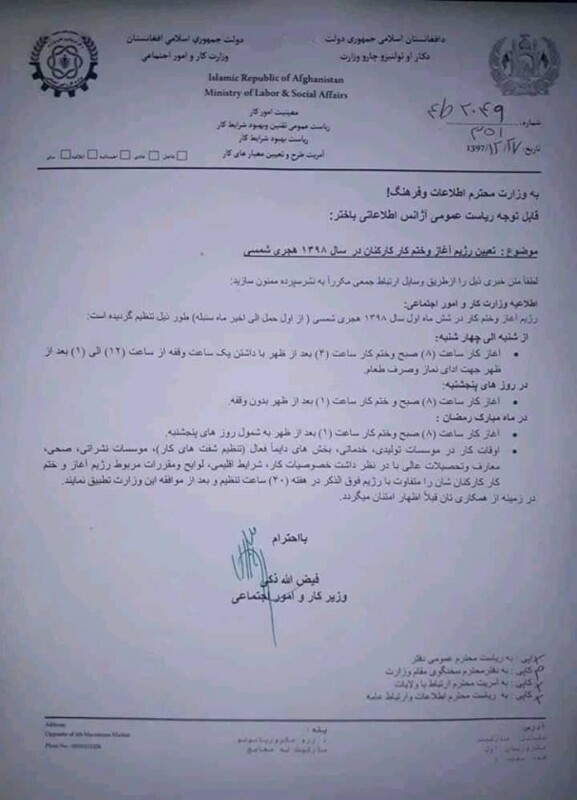 Ministry of Labor and Social Affairs of Afghanistan announced that the working hours of government for first 6 months of next year has been set. The ministry said in a report that working days (start and end) in the first 6 months of upcoming fiscal year (2019) from 21 March to 21 September would be from Saturday to Wednesday. The working hours shall begin at 8 am and end of by 4 pm with an hour break from 12:00 to 1:00 dedicated for serving food and prayer. The ministry added that, on Thursdays the working hour would start at 8:00am and end by at 1:00 pm without any break. “Working hours during the holy month of Ramadan from 8:00 am to 1:00 pm, including Thursdays,” the statement said. The statement also added that the start work in the manufacturing, service and continuously active sectors (setting working shifts) broadcasting, health, education and higher education will be set with regard to labor characteristics, climatic conditions, related regulations and their work time shall start and end differently from the abovementioned work time which will be 40 hours work in a week and after the approval of this ministry will be implemented. 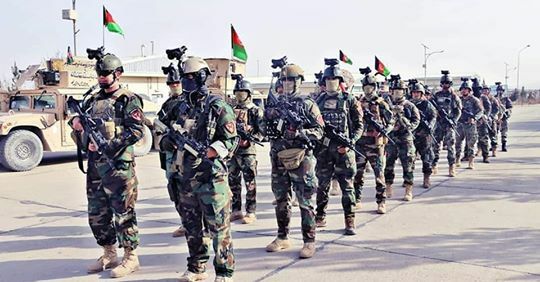 Afghan Army in north reported that 28 Taliban insurgents were killed and 8 others wounded in Faryab province. 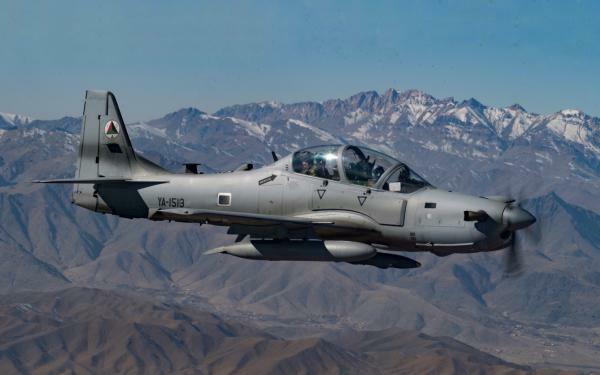 “As a result of airstrikes and clashes in past two days in Arkalik, Zohorya, Shakh, Zeyarat Ga and Nodari Qala areas of Qaisar district of Faryab province, 28 Taliban insurgents were killed and 8 others wounded,” 209 Shaheen Corps press office said. Shaheen press office added that, in these clashes security forces also sustained casualties but they did not provide details of the casualties. Meanwhile, the fighting has intensified in Qaisar district of Faryab Province since several days and the media have reported high casualties of security forces in the district over the past two days. President Ghani said that Afghanistan’s exports will increase to United Arab Emirates through air corridors. 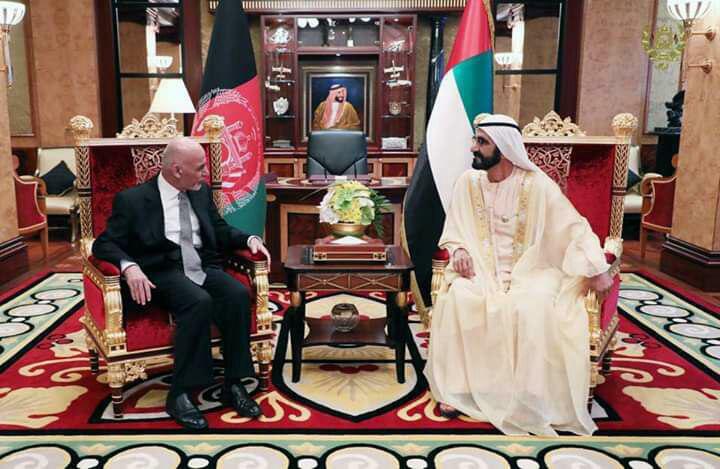 President Ghani met with Sheikh Rashid bin Saeed Al Maktoum, the Prime Minister of the United Arab Emirates, and discussed economic, development and economic relations between Afghanistan and UAE, per presidential palace statement. In this meeting Sheikh Rashid bin Saeed Al Maktoum considered air corridor between Afghanistan and United Arab Emirates as a great initiative and added that Dubai markets are open to Afghanistan’s products and good business opportunities are also provided. Meanwhile, the president has left for the United Arab Emirates on an official visit yesterday. 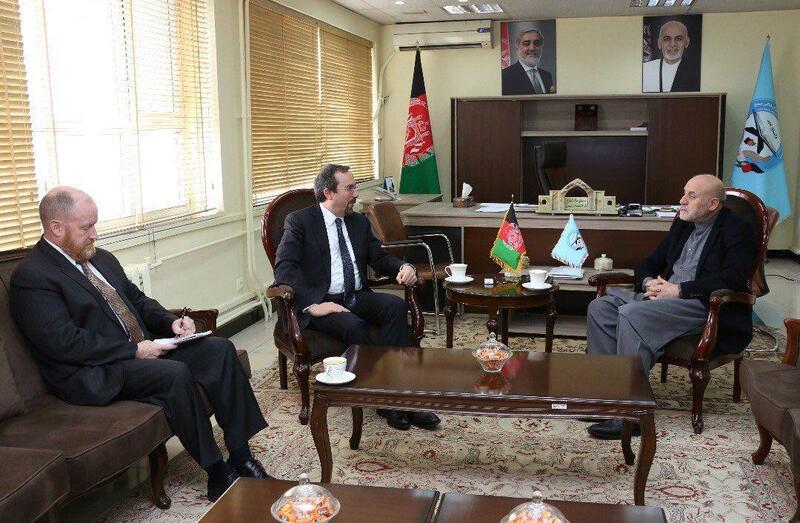 US Ambassador to Kabul John Bass announced on Twitter that he met with High Peace Council leaders Karim Khalili and Umer Daudzai. It was informed by the tweets that the two sides reviewed preparations for the consultative grand assembly/Loya Jirga and also discussed about the formation of an inclusive Afghan negotiating team that is ready to take part in the intra-Afghan talks.